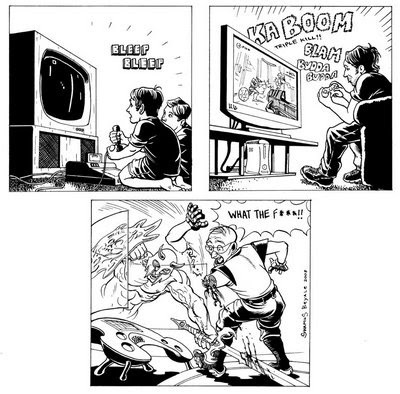 This is a strip about the video game generation growing up now, and I'm one of them. Although I got my start on the first Nintendo, not the Atari 2600, I feel many of my peers can relate to this strip. Ink on bristol.